When Is the Earliest Time to Start the Seder? I’m having lots of guests from very different backgrounds over for the Seder, and I don’t want people to have to stay out too late. I also want to make sure that my young children will take part in the Seder. What is the earliest time that I can call the Seder for? 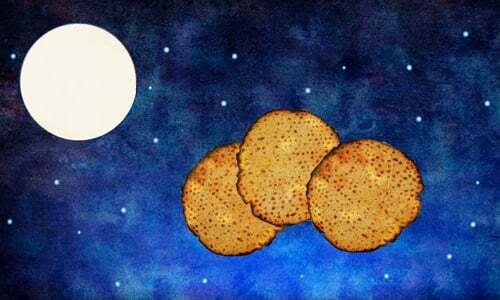 Depending on your location and the time of year that Passover falls, nightfall can be very late (for the times in your area, click here). This poses a challenge, especially since one of the main mitzvahs of the Passover Seder is the retelling of the Exodus story to the children. I recommend having your kids take a nap during the day so that they’ll be well rested for the Seder night. The word seder actually means “order,” and it is ideal to conduct your Seder in the proper order. If, however, you know that under no circumstances will your guests come and stay late enough into the night to recite the whole Haggadah, eat the matzah and maror, and drink the four cups at the proper times, there are other options. For example, you could have your guests come before nightfall, and then you could serve a snack (not chametz4 or matzah5), discuss the Passover story, and be ready to start the Seder and make kiddush right at nightfall. Consult with your rabbi as to some possible solutions to help ensure that everyone fulfills the Passover mitzvot. See Exodus 12:8 and Numbers 9:11. See Terumat ha-Deshen 137; Shulchan Aruch, Orach Chaim 472:1. Shulchan Aruch ibid., and Magen Avraham and Taz ad loc. See also Shulchan Aruch ha-Rav, Orach Chaim 472:2. The last time for eating chametz is approximately two hours before halachic midday (click here for local times). Past this point, no chametz is eaten until after the festival. Matzah is not eaten the entire day before the Seder. For more on that, see What We May Eat. Why Is Matzah So Bland? Is GMO Non-Rising Wheat Kosher for Matzah? What is a Matzo Ball? Why Don't We Eat the Zeroah? One may not serve any amount of any food after sundown prior to making Kiddush, since it is forbidden to eat anything before Kiddush.